Everyone loves a good plot twist. And what better plot twist than finding out that a work of art, scientific discovery, or other creation was the achievement not of a well-known man, but rather a woman? Fanny Mendelssohn Hensel was a talented composer of the early 19th century who worked mostly in private. As an upper-class woman with many social responsibilities and expectations, she was not encouraged to go on to any kind of public career. Instead she hosted concerts in her Berlin, Germany home, performed music with her friends, and composed—a lot. Over 450 works, in fact. Hensel started to publish her music under her own name just a year before she died, but almost 20 years earlier she published six songs under her brother’s name: Felix Mendelssohn, composer of the famous “Wedding March” and Overture to “A Midsummer Night’s Dream.” Hensel’s family and friends knew about her songs in her brother’s Op. 8 and Op. 9, and the word even spread all the way to Vienna. 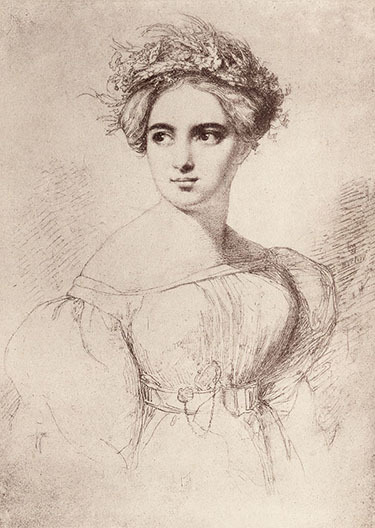 Fanny Mendelssohn Bartholdy, by her husband, Wilhem Hensel, 1829. Public Domain via Wikimedia Commons. Hensel received a letter from a curious listener who wondered if anything else known as her brother’s was actually by her! Hensel laughed off the idea, but it persisted to our own time. Access to most of Hensel’s music and facts about her life was difficult until the 1990s at the earliest, but then scholars started to slowly discover a more complete picture of her life. Only then were scholars able to understand how unique Hensel’s music was, even if quite similar in style to her brother’s (they developed their style together as students). Once researchers understood her style, and had access to her original scores, letters, and diaries, they could detect which works were hers and which were not. This is where the story of the lost “Easter Sonata” comes in. Mendelssohn scholars knew the work had existed at one point because it is mentioned in the family letters, but the score had been long lost. Or so people thought. The work had been recorded in France under Mendelssohn’s name in 1972. 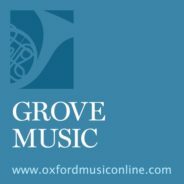 Because the siblings’ musical style is quite similar, the recording flew under the radar for almost 40 years, until the manuscript was rediscovered and the work was properly attributed to Hensel in 2010. This was due partly to how difficult it was (and still is) for women to enter the historical record of great works of Western art music. Without publicly recognized indicators of success, value is not imputed, and the work fades from memory with the death of its creator. Audiences expect to go to the concert hall and hear works of Wolfgang Amadeus Mozart, Ludwig van Beethoven, Johannes Brahms, Pyotr Ilyich Tchaikovsky and maybe the odd “contemporary” palette cleanser (short, not too offensive–new music has its own canon problems). But when audiences go to hear the work of women, it is often a specially highlighted event. There are invited speakers and lots of press. This is important work and is necessary in order to arrive at a point in history when the inclusion of women in the canon is normalized. There are already many examples of people who are doing this work, and the progress already made in the past few decades is incredibly exciting. In 2016, for example, The Metropolitan Opera of New York City even programmed the first opera by a woman in over a century. There are many easily accessible resources for educators and performers that show how women are working in music today and encourage people to challenge their assumptions. There is one more highly relevant reason it’s important to normalize works of art by women: everyone should be able to look up to someone who looks like them. The encounter with women’s music should be an everyday thing, not a special occasion. What can we do today to help normalize the music (or other work in any field) of a woman, person of color, or other marginalized social class? No matter how small the effort, it just might encourage and inspire the next great artists. Featured image credit: the Music Room of Fanny Hensel (nee Mendelssohn) by Julius Eduard Wilhelm Helfft, 1849. Cooper Hewitt, Smithsonian Design Museum, Public Domain via Wikimedia Commons. Angela Mace Christian writes on the Mendelssohn family and women in music throughout the long nineteenth century. She has published and lectured extensively on these topics throughout North America and Europe, and as an Assistant Professor of Music History at Colorado State University, and she is the author of the "Fanny Mendelssohn Hensel" on Grove Music Online. Her most recent publication is a chapter in Nineteenth-Century Programme Music: Creation, Negotiations, Reception (ed. Jonathan Kregor, Brepols: 2018), and she has articles forthcoming in Musical Quarterly and Rethinking Mendelssohn. She is currently an independent scholar in the Washington, D.C. area.